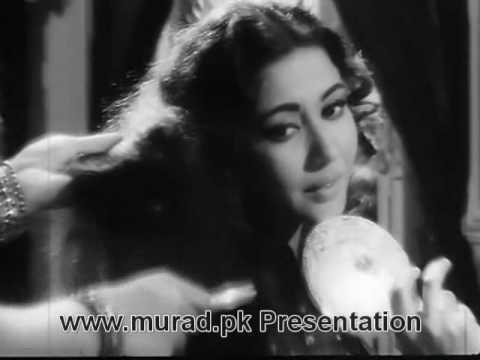 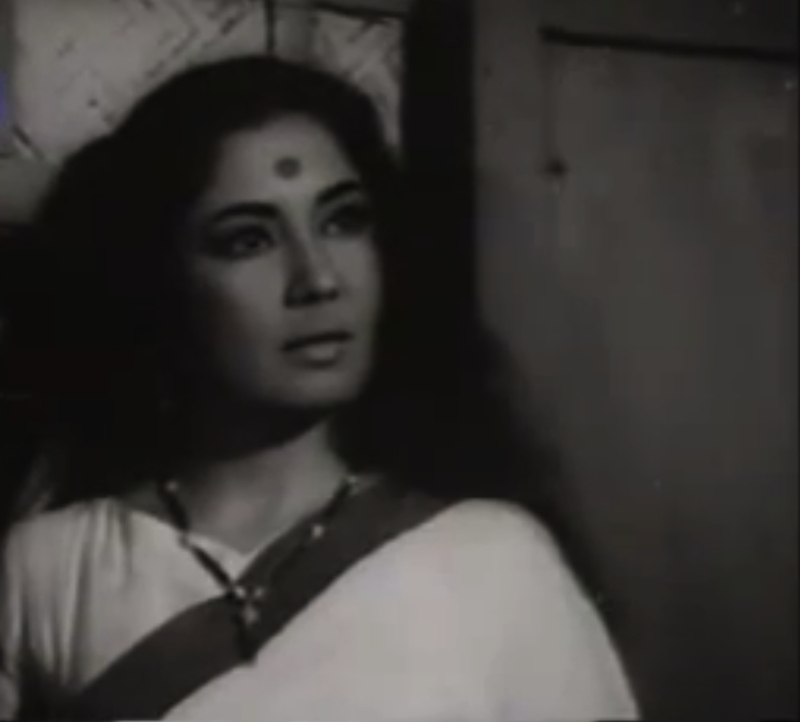 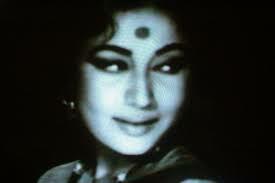 Friends, once again I am here with another golden episode of Hundred years of Indian Cinema, in between distracted by many events[ festivals, retirement of Sachin and few more],I am writing an episode gilded with pathos and tears, an episode of tragic melodrama………..yeah friends this is the episode of our forever adorable heroine Meena Kumari ji. 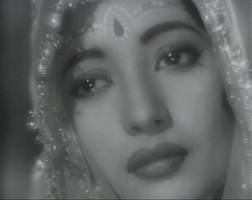 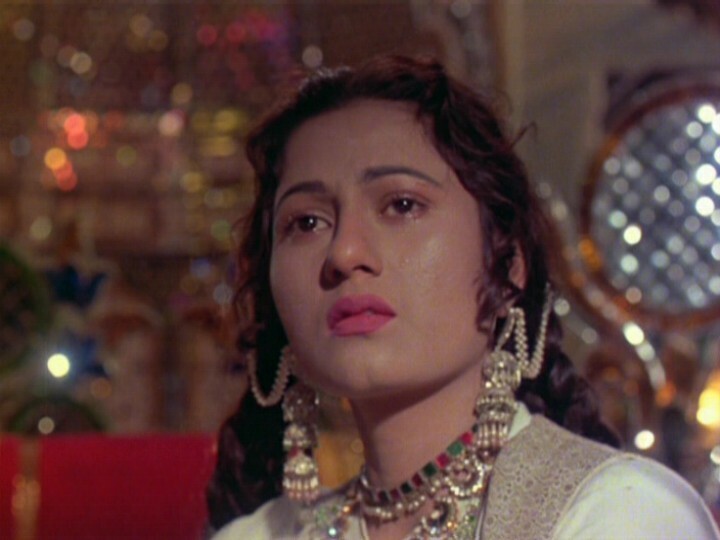 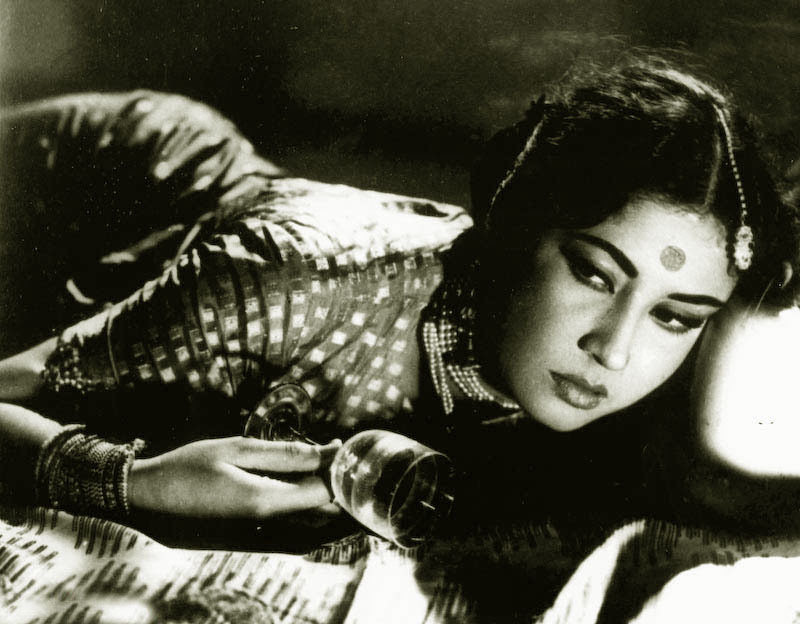 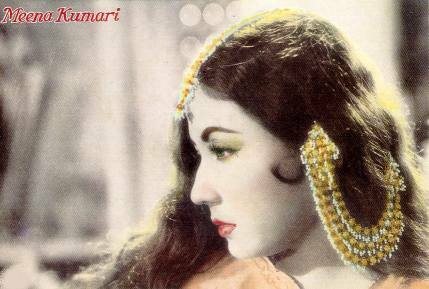 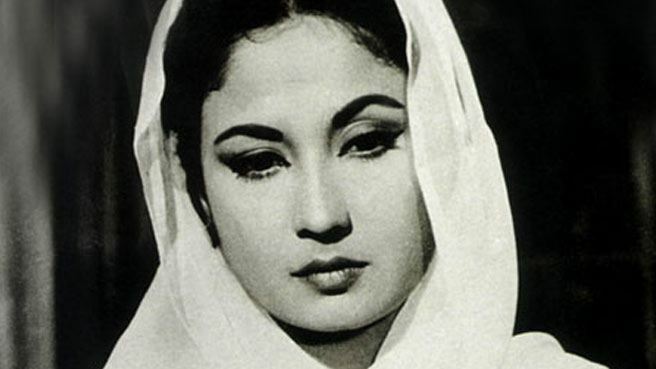 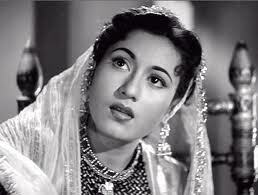 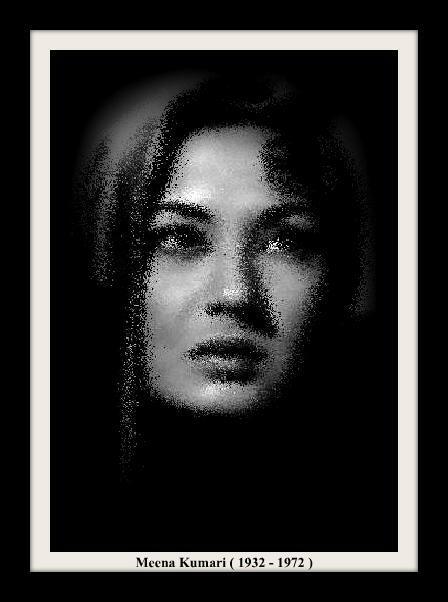 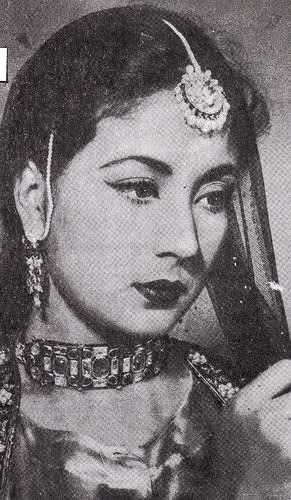 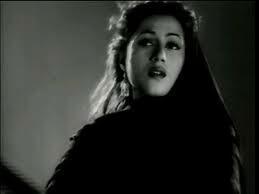 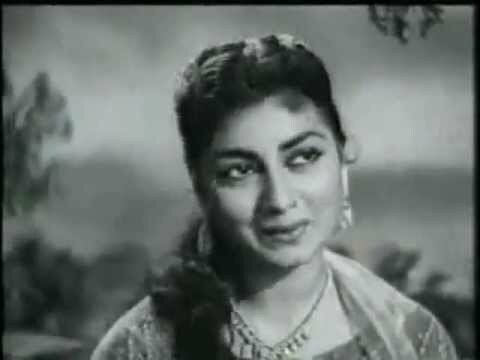 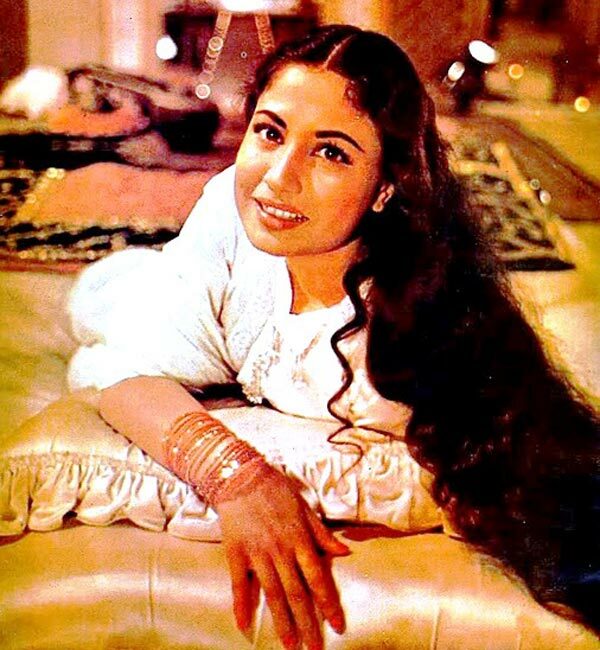 Born as Mahjabeen Bano Meena Kumari won the heart of thousand million Indian Cinema lovers by her enchanted acting and immense magnetism. 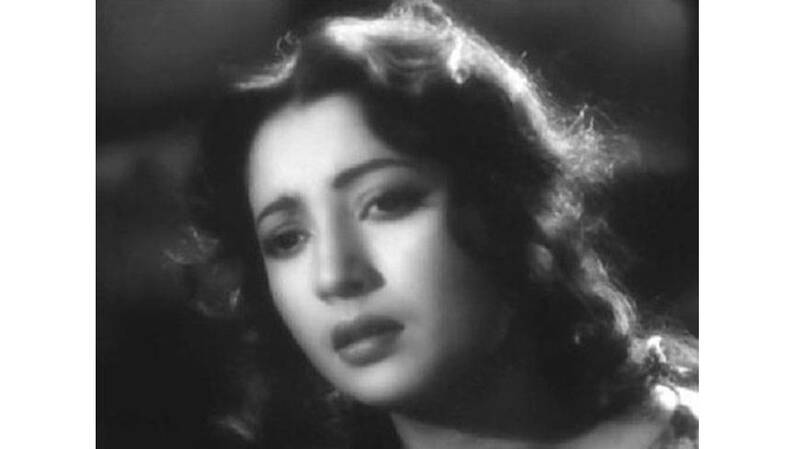 Most of the characters she played were tragic and very much realistic which made her immensely popular. 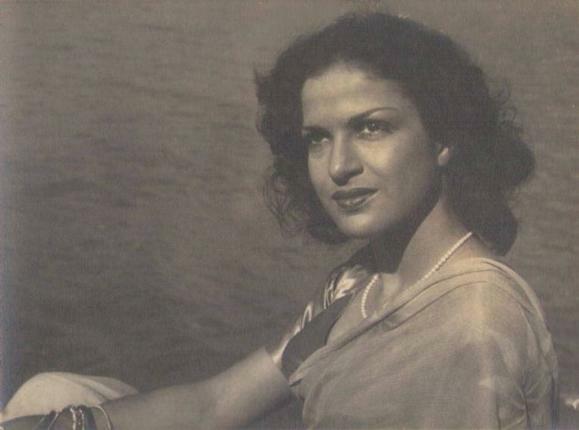 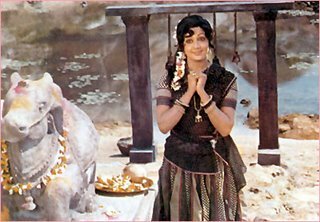 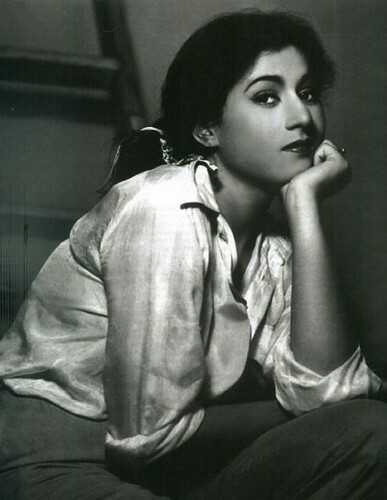 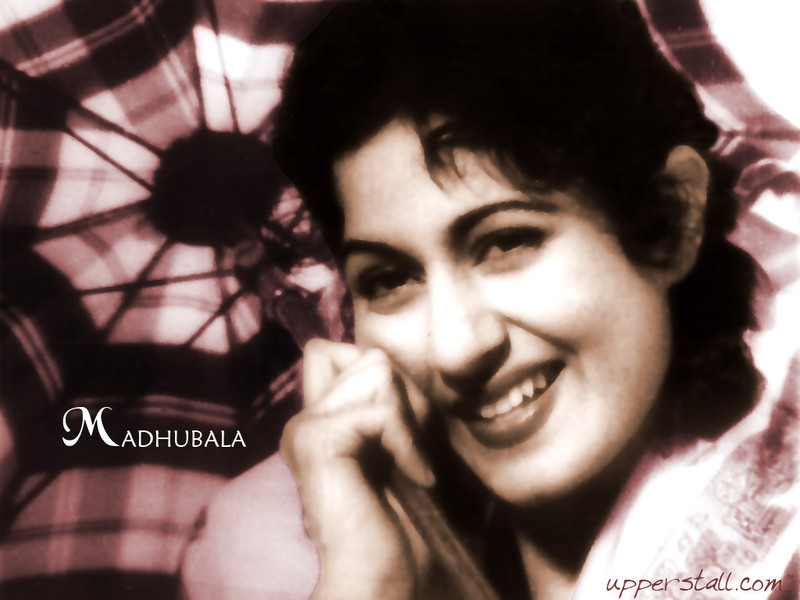 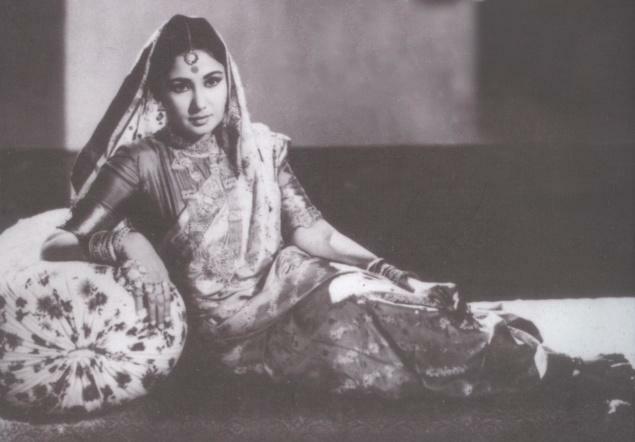 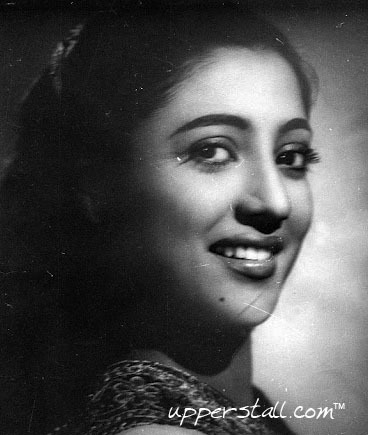 From her thirty nine years of life span she spent thirty years in Indian Cinema as she started acting from a very early age. 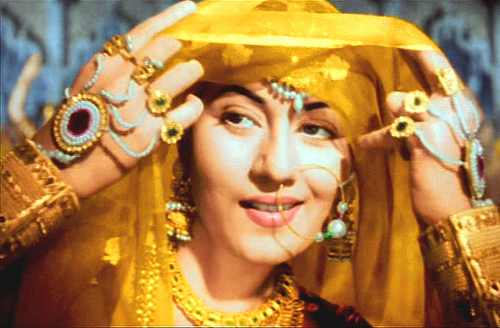 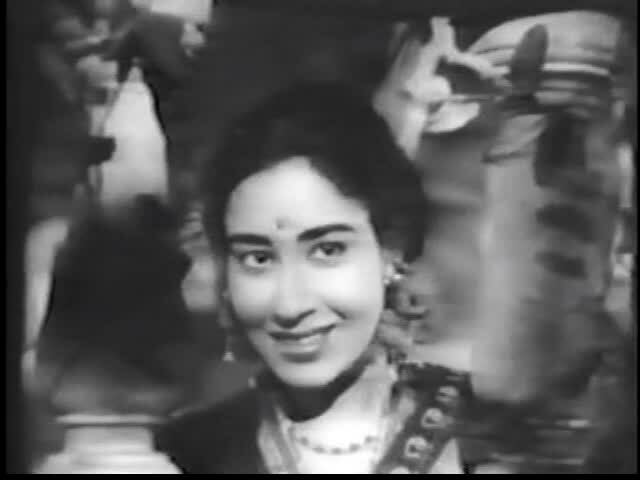 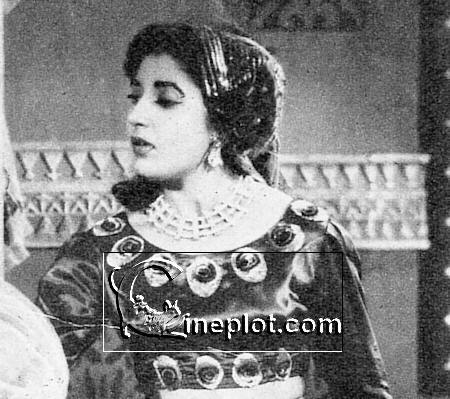 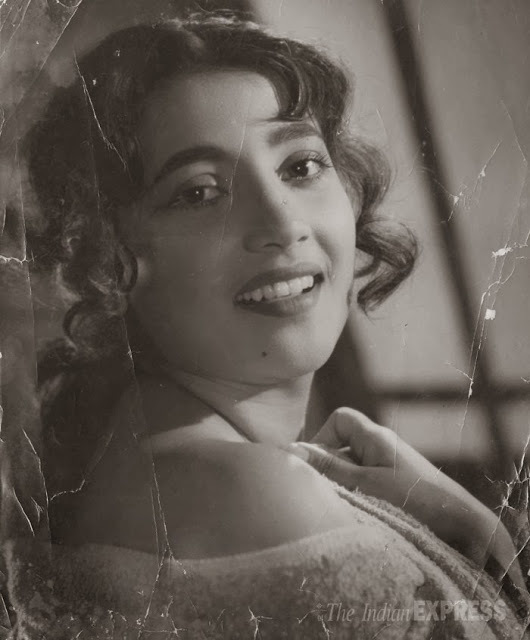 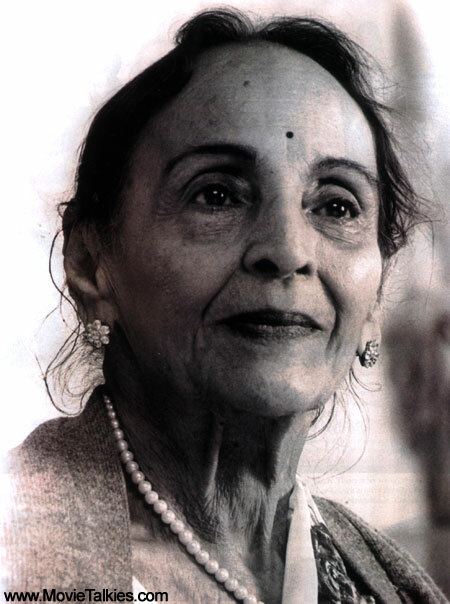 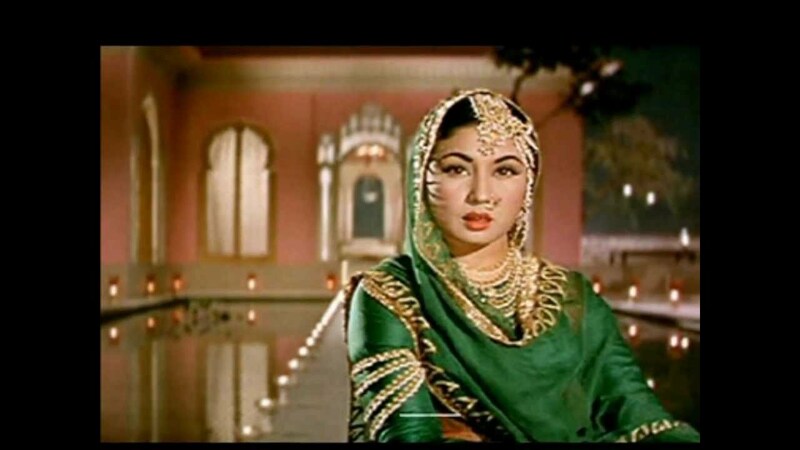 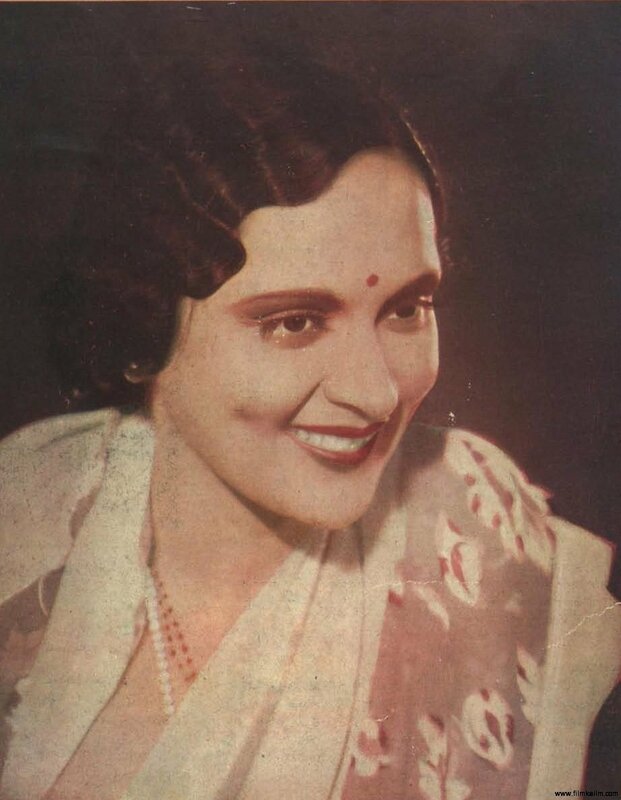 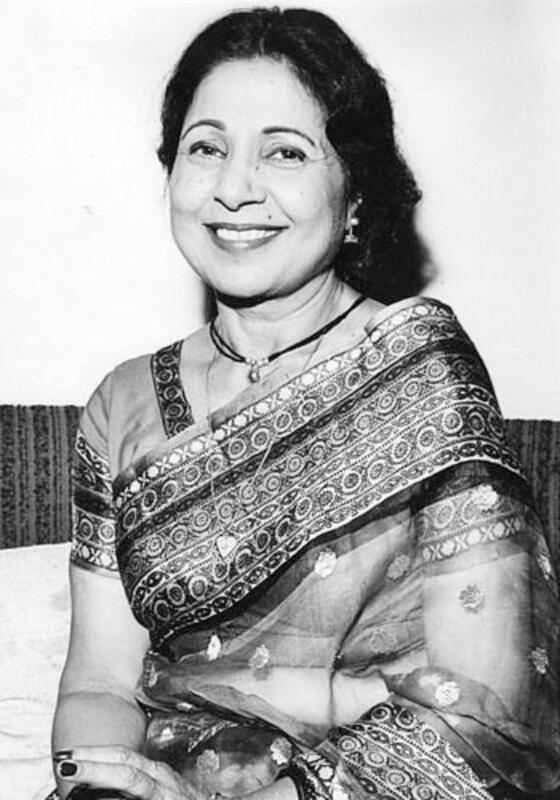 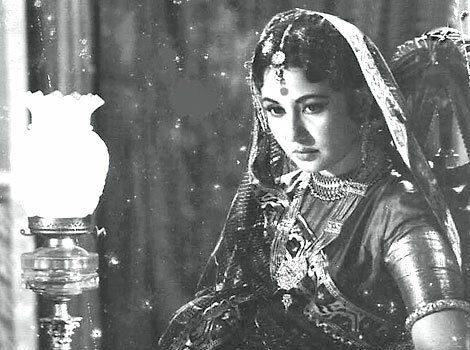 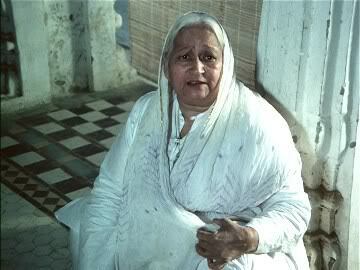 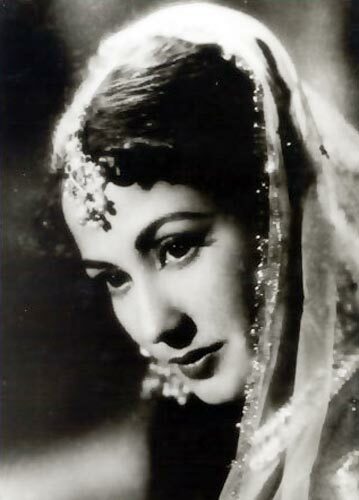 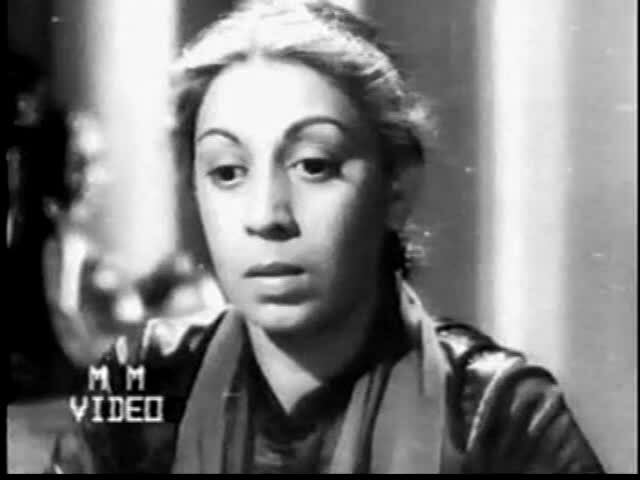 Her remarkable works are Pakeezah, Dil Apna aur Preet Parai, Saheb Biwi aur Ghulam, Parineeta, Aarti, Mein Choop Rahoongi, Kohinoor, Dil Ek Mandir, Kajal, Phool aur Paththar, Baiju Bawra, Bheegi Raat, Bahu Begum, Baharon ke Manzil and many more. 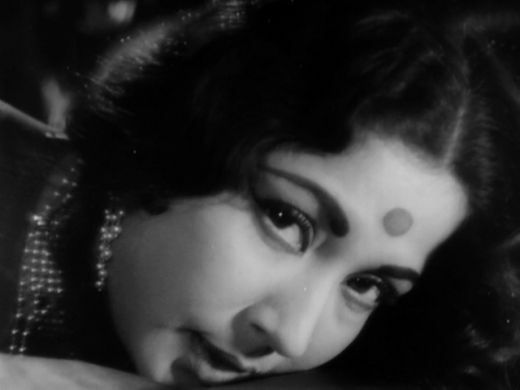 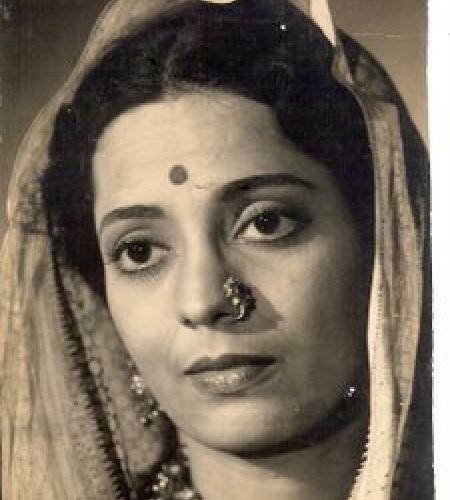 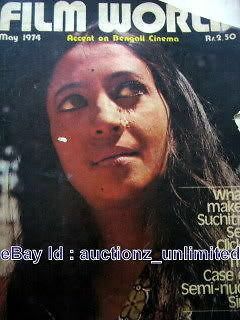 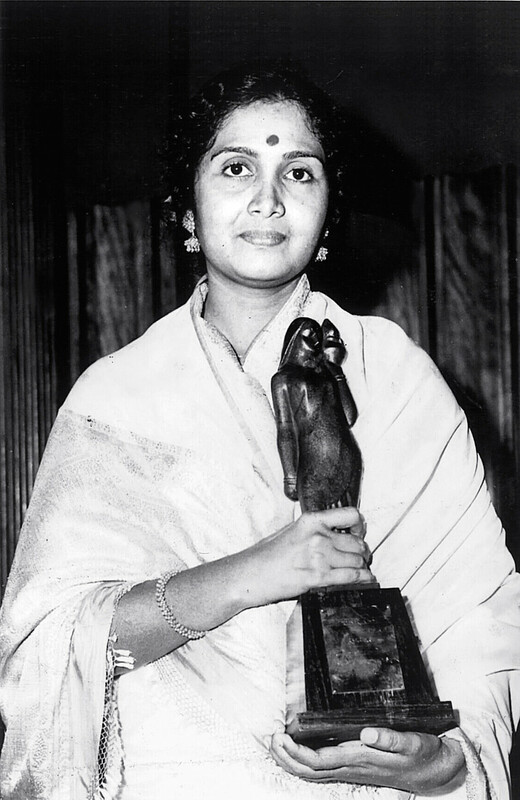 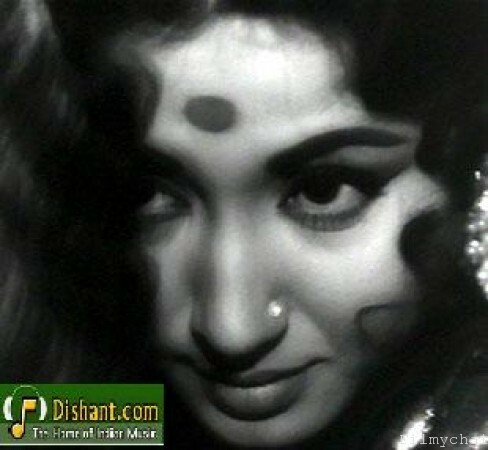 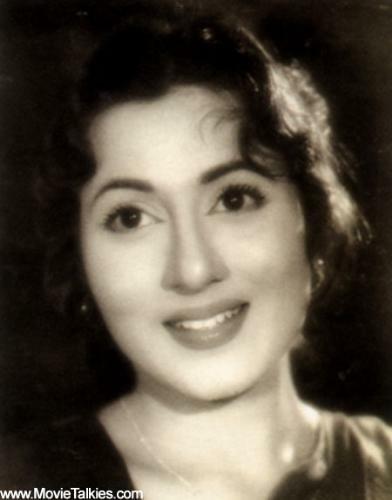 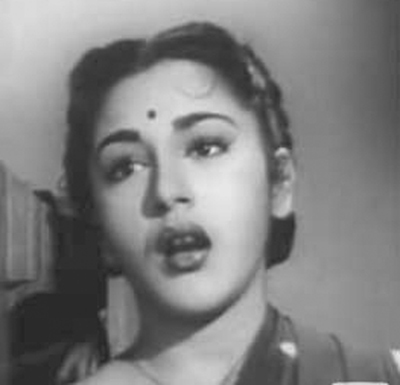 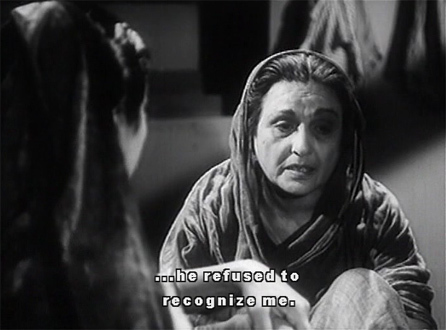 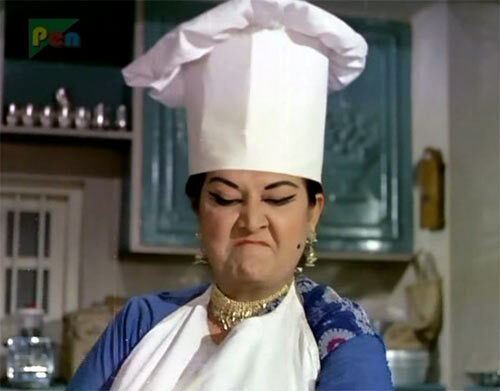 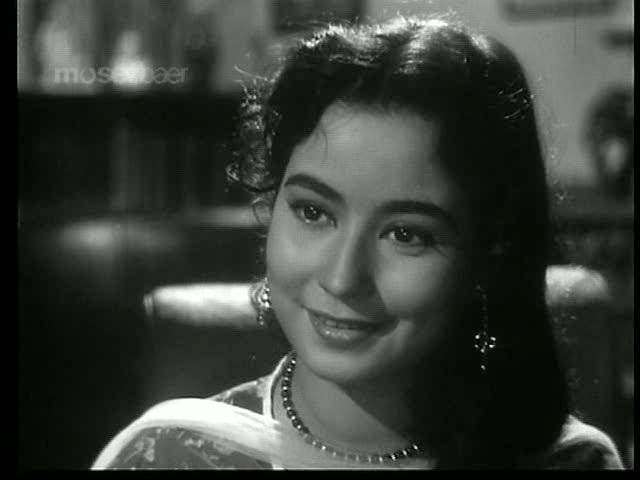 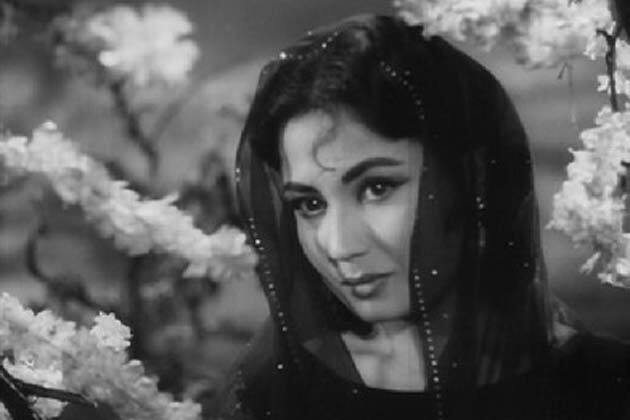 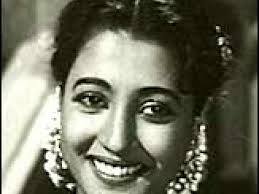 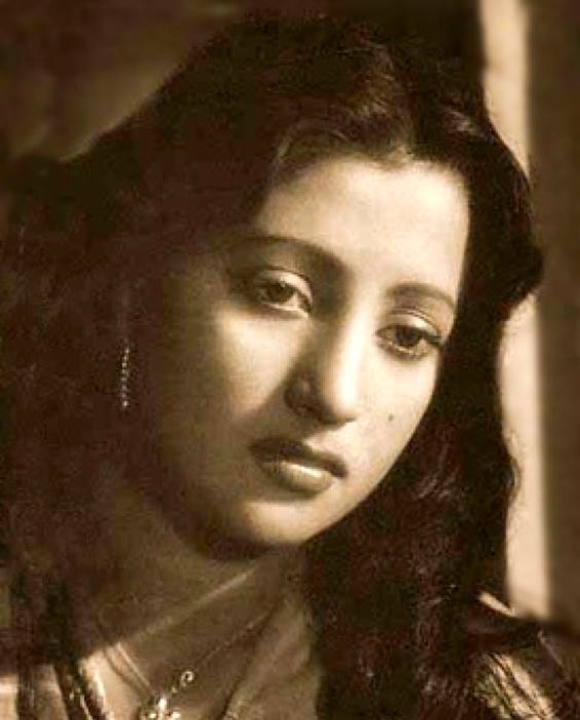 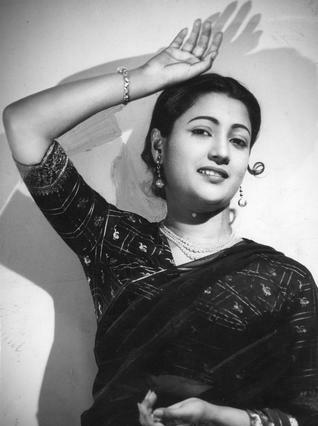 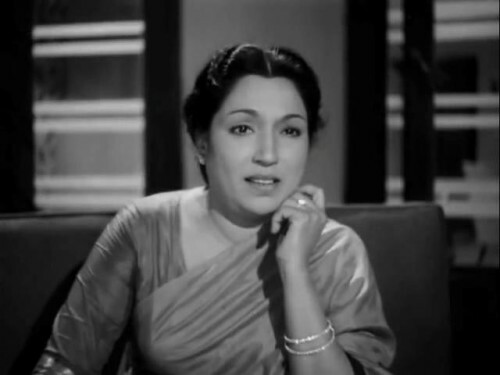 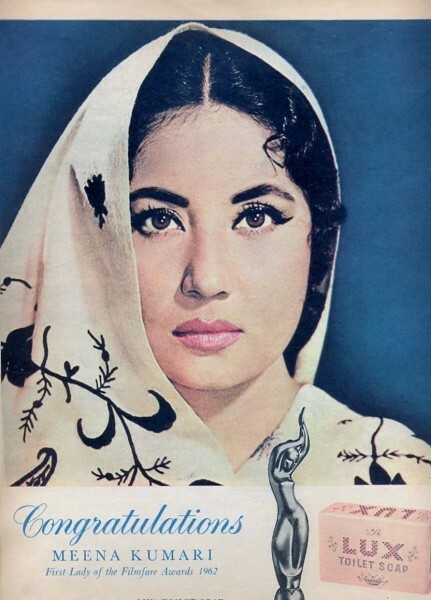 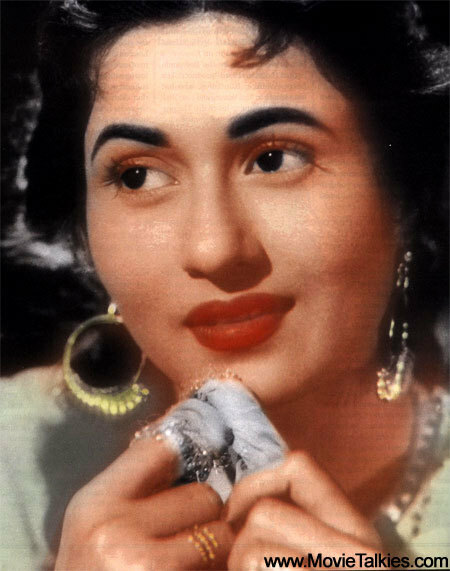 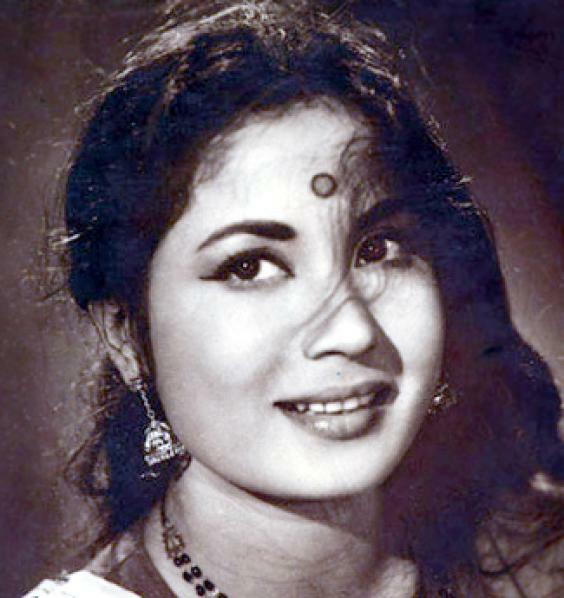 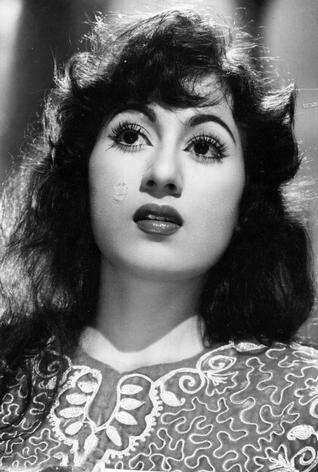 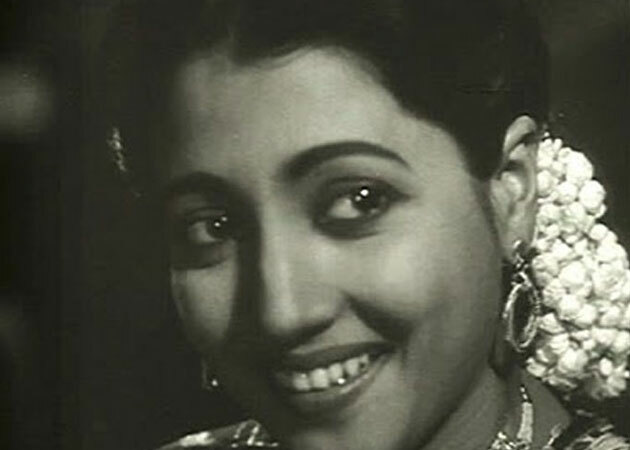 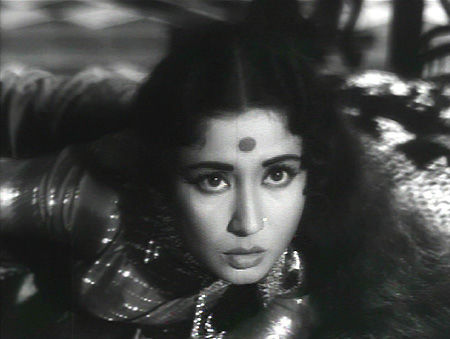 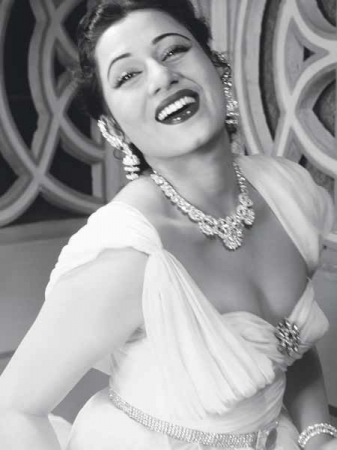 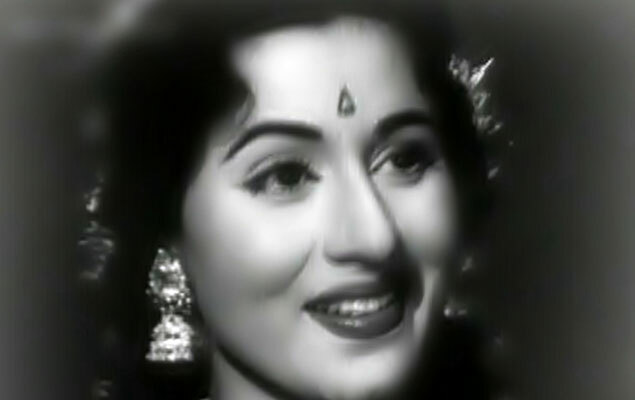 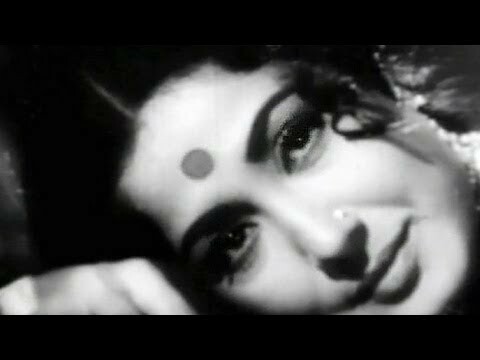 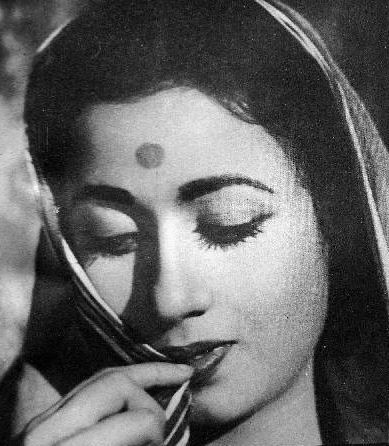 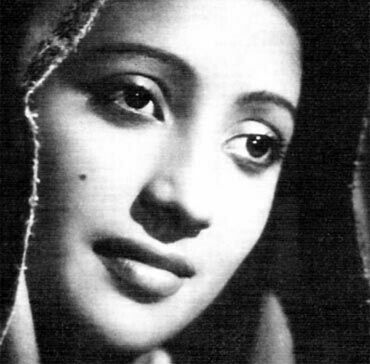 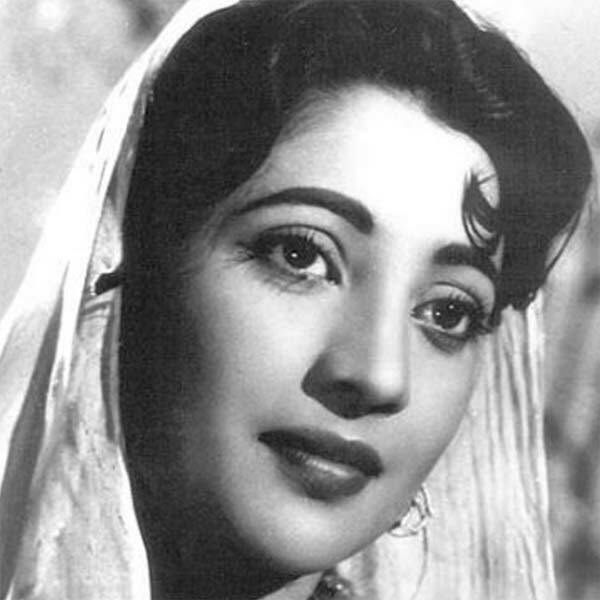 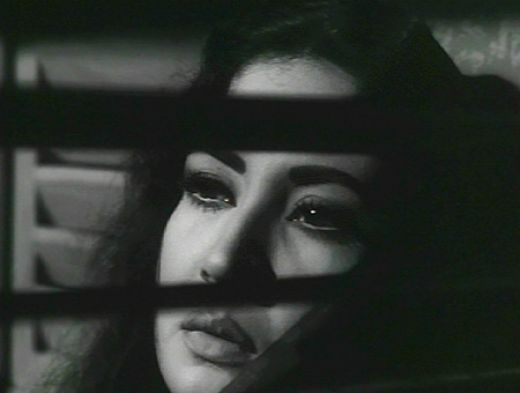 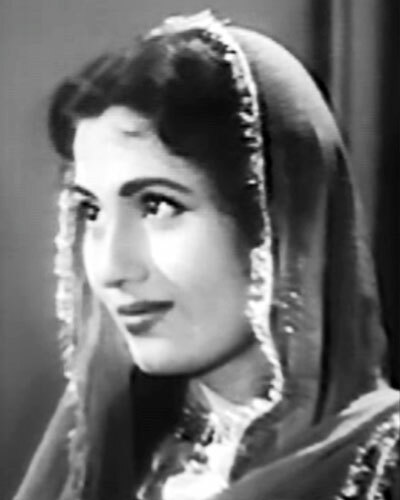 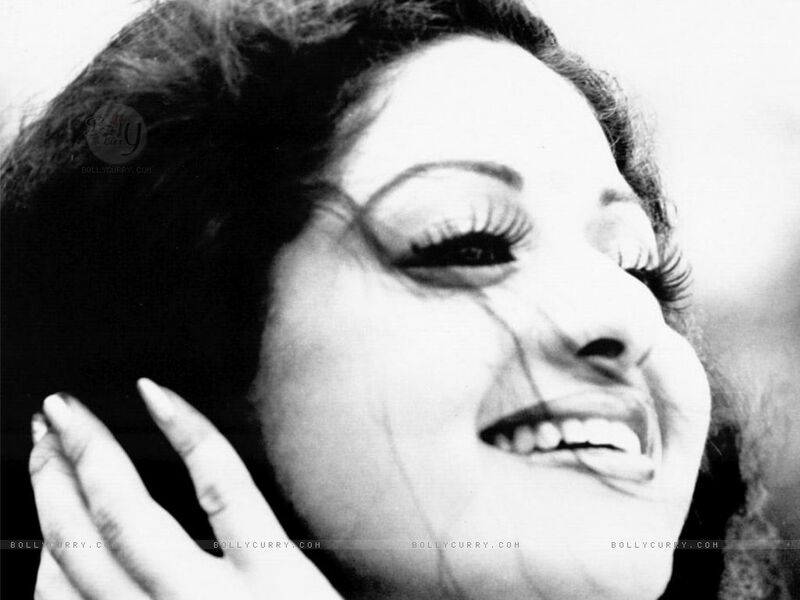 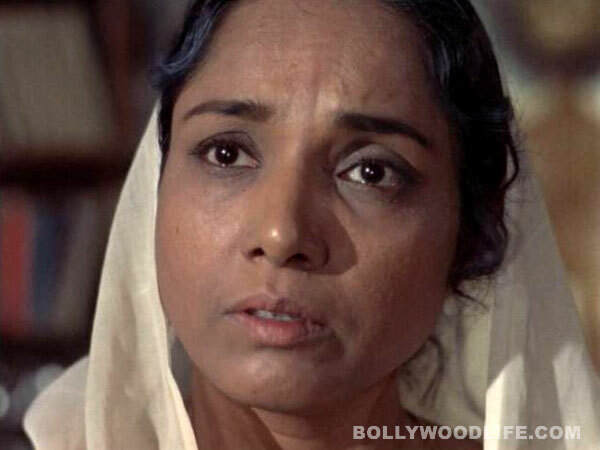 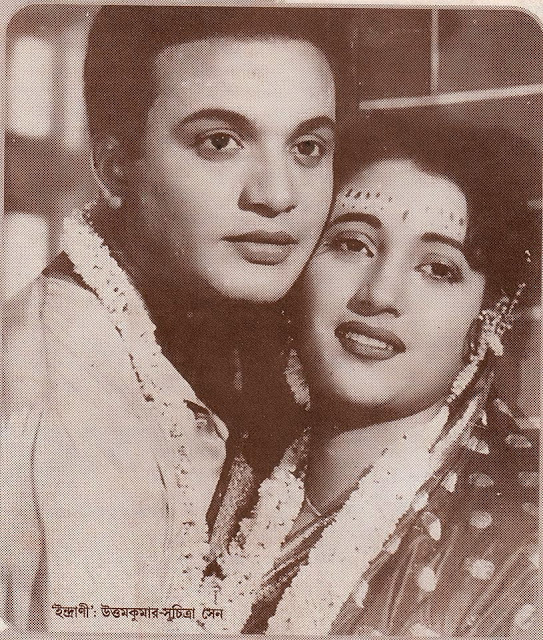 She was nominated for Filmfare Best Actress Award for 8 times, and won 4 times for the movies like Parineeta, Baiju Bawra, Kajaal, Sahib Biwi Ghulam. 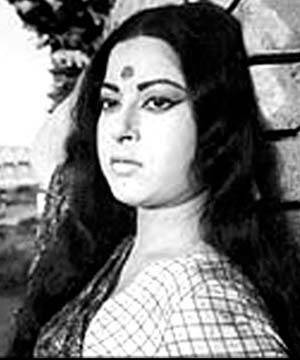 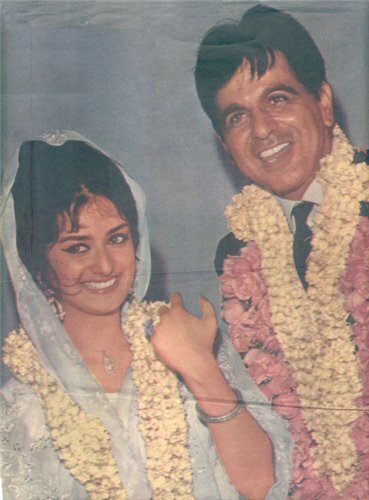 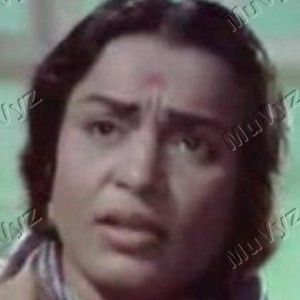 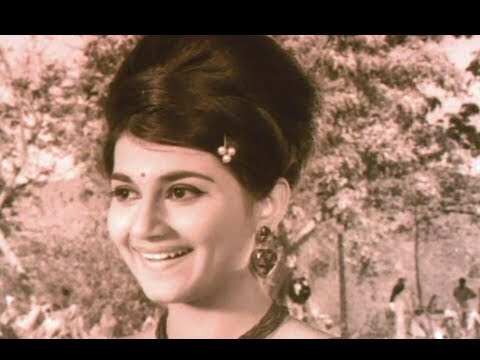 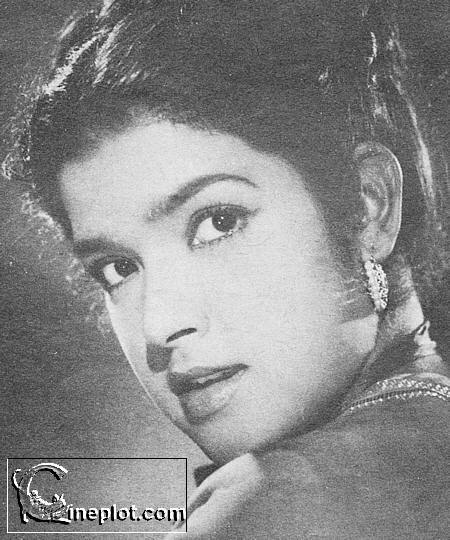 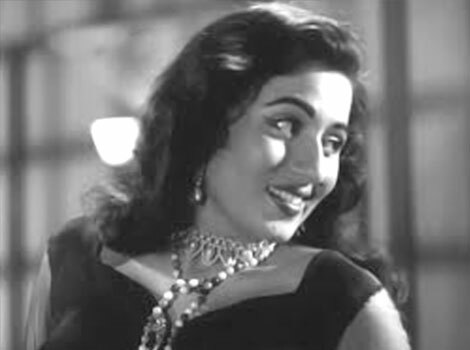 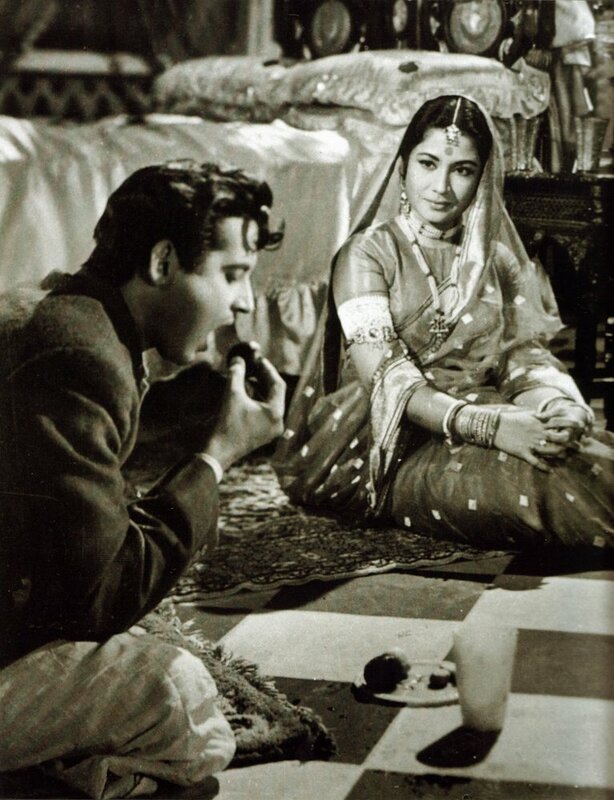 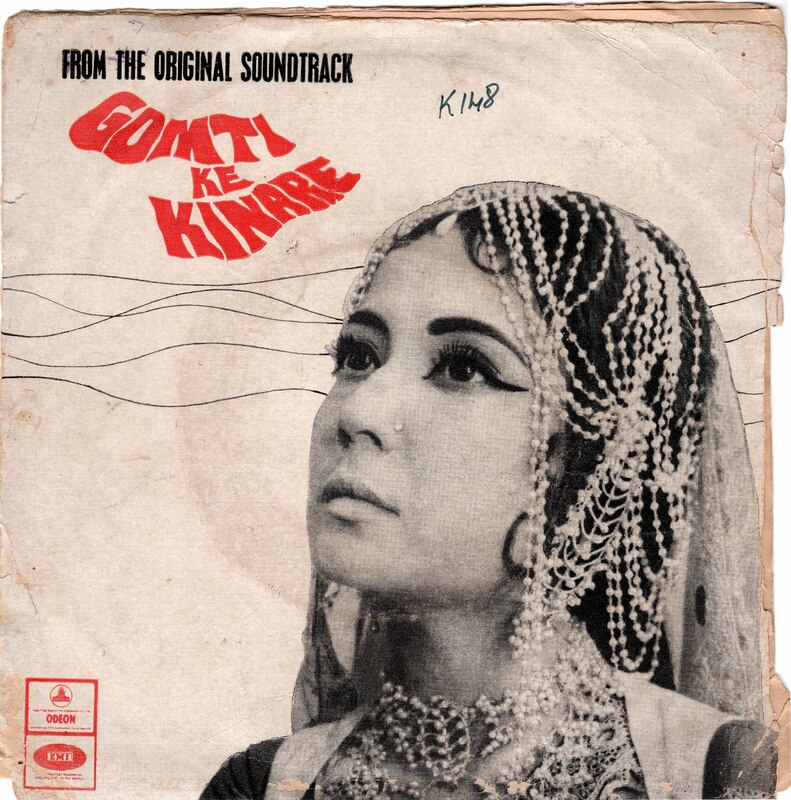 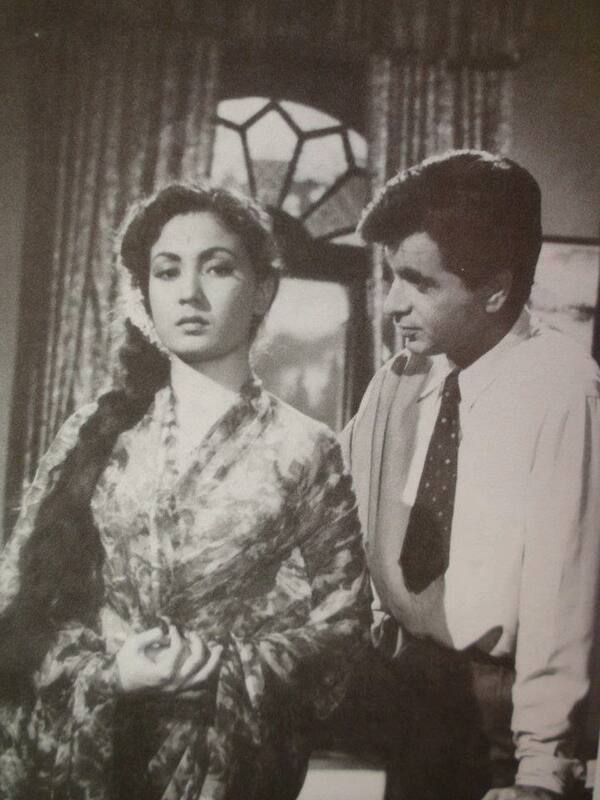 She has been liked mostly with noted film actor Sri Raj Kumar Saab with whom she shared on screen space in the film like Dil Ek Mandir, Pakeezah, Dil Apna aur Preet Parai, Kaajal, Ardhangini, even Dharmendra and Pradeep Kumar Saahab were also like with her on screen. 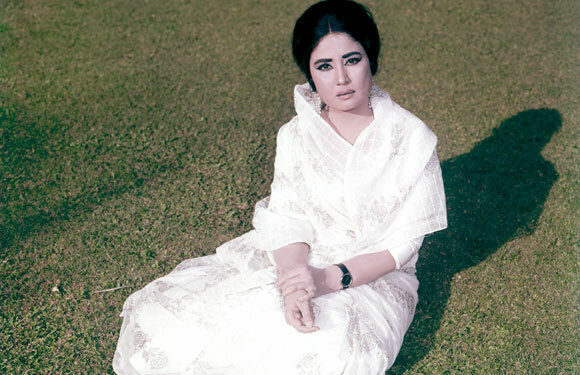 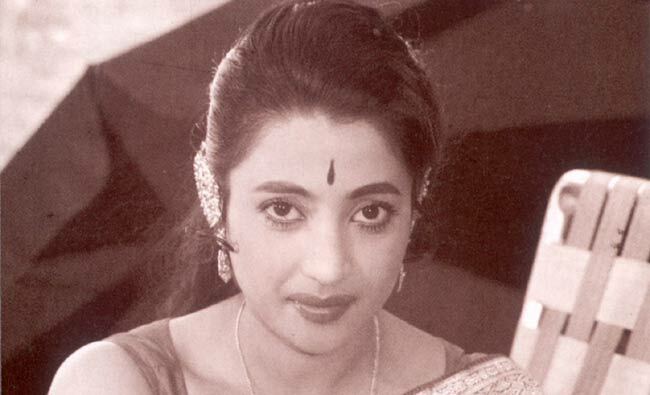 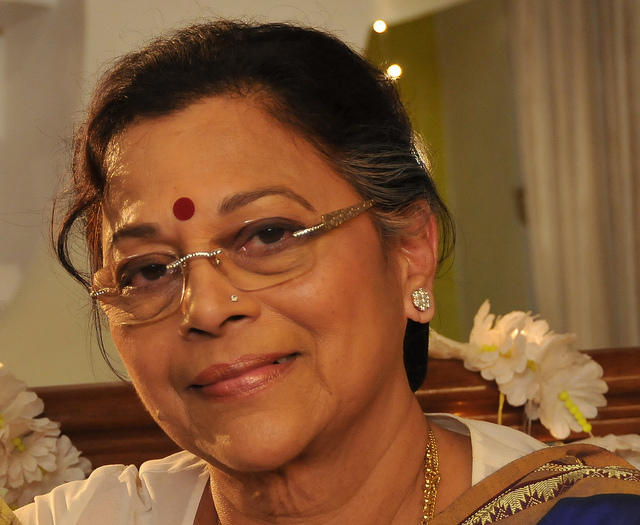 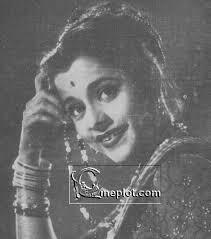 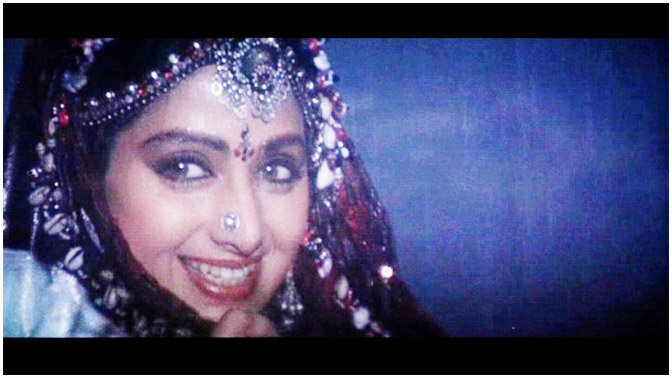 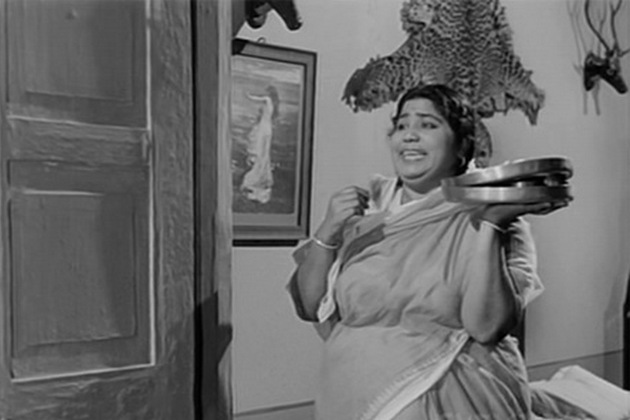 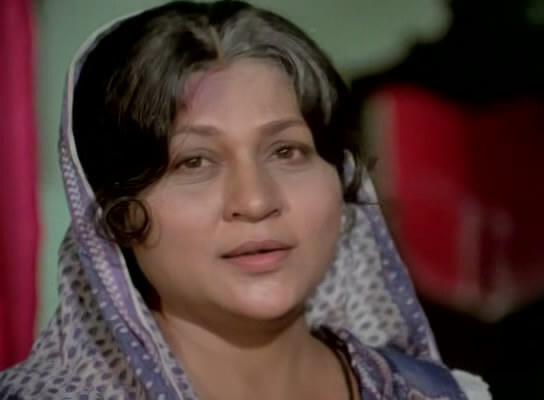 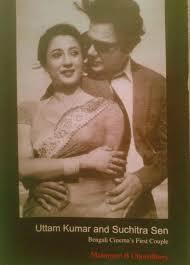 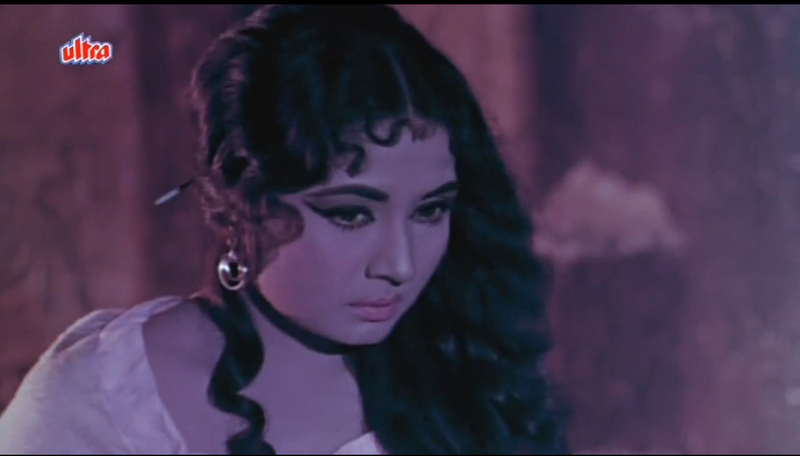 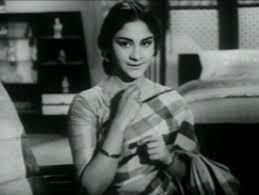 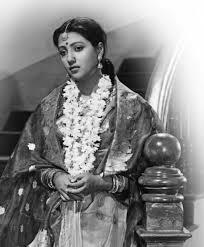 She enacted in many versatile and unconventional role which were equally challenging to portray on screen at that time. 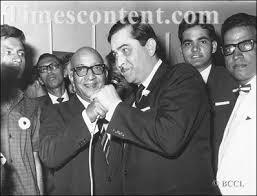 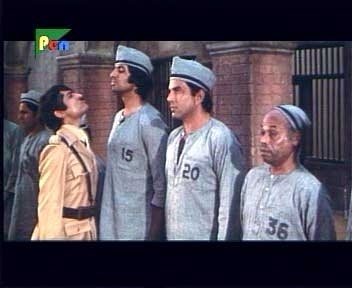 Saheb Biwi aur Ghulam, Pakeezah, Dil Apna aur Preet Parai to name a few. 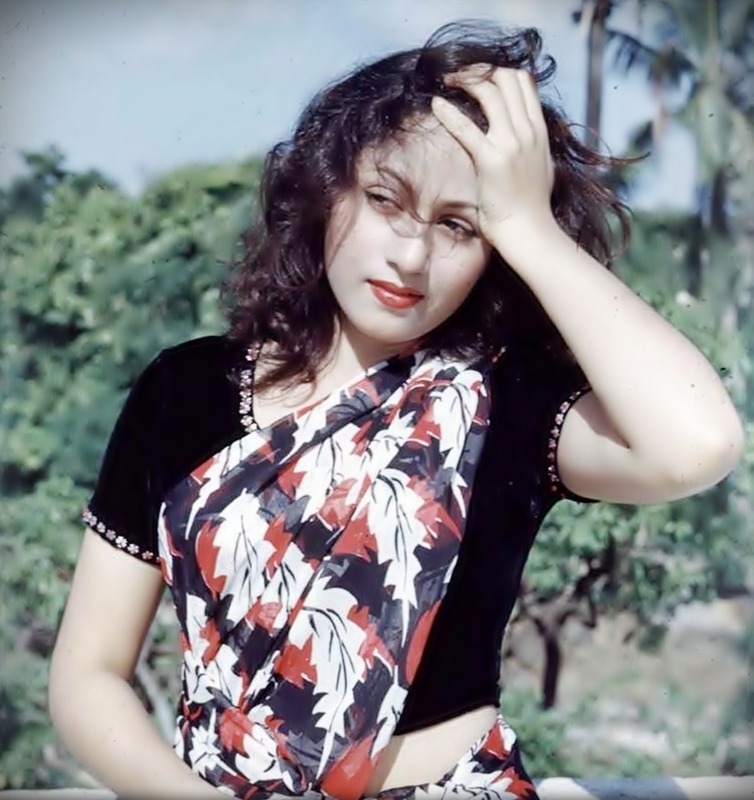 I wish I could write on and on about this great legendary actress but stopping here and posting some of her magnificent photos below. 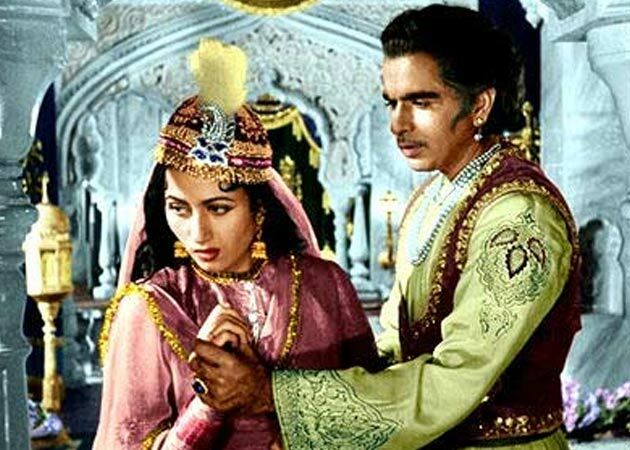 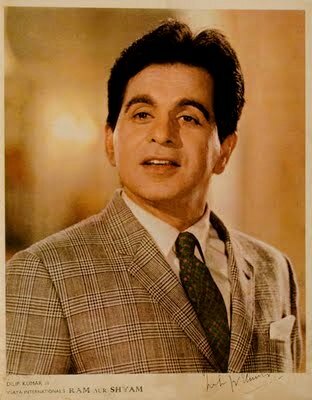 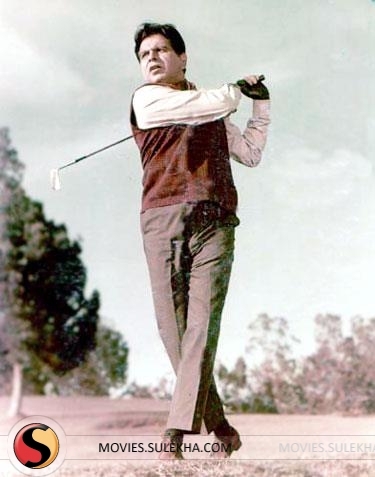 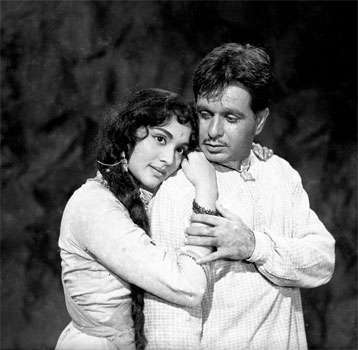 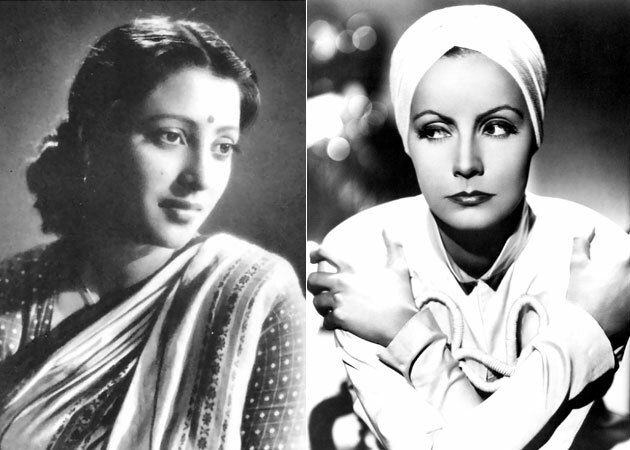 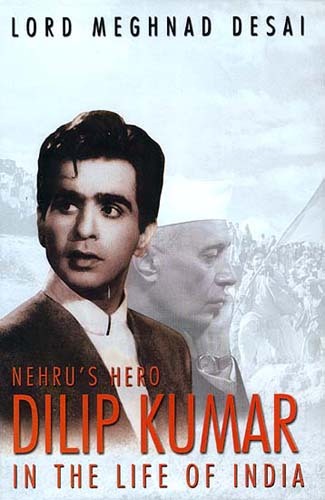 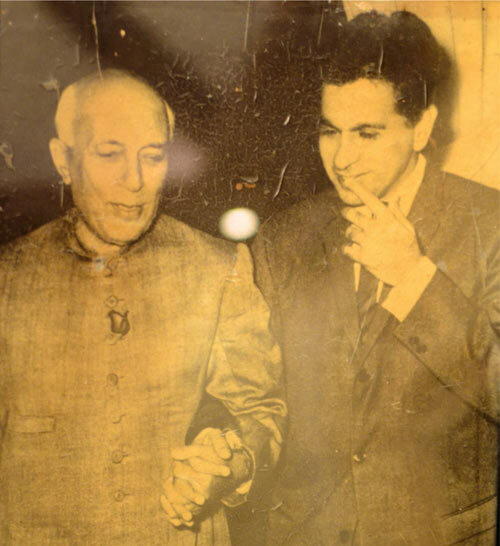 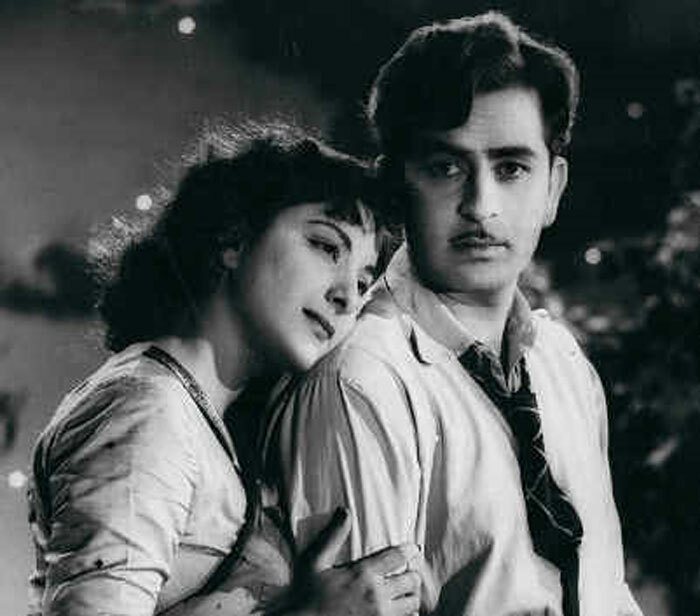 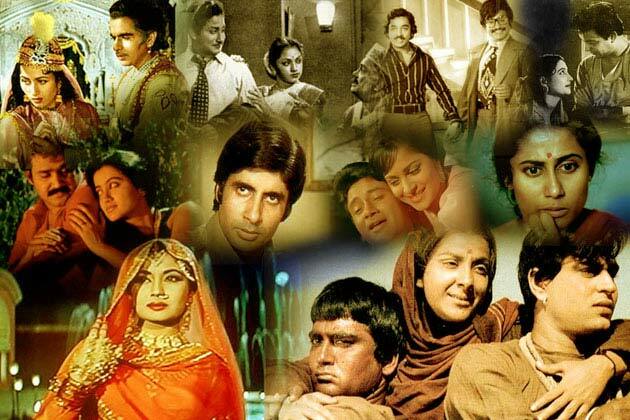 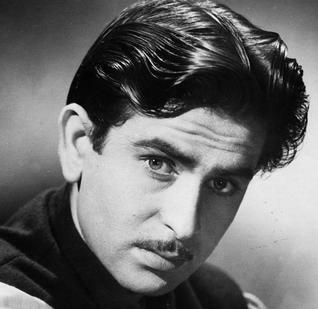 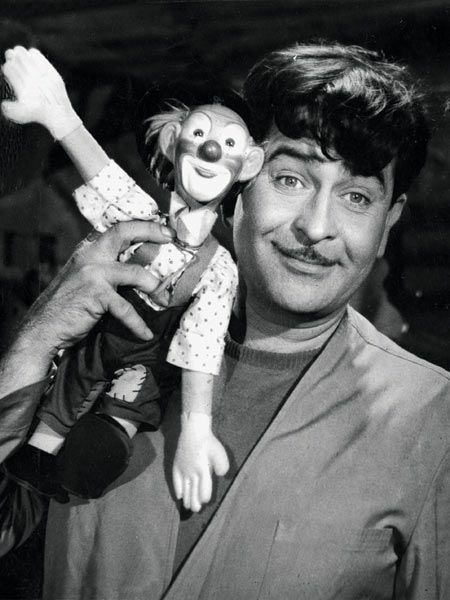 I will keep on posting articles from time to time on legendary actors and actresses, directors, musicians who had made Bollywood movies so popular in the world……….. a salute to HUNDRED YEARS OF INDIAN CINEMA. 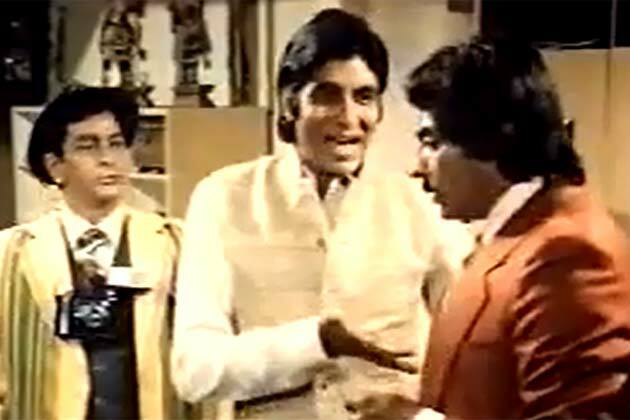 In Satte Pe Satta there is a scene where Hema Malini slapped Amitabhji and the face he made due to that is extremely funny, even in Do aur Do paanch Amitabhji has made great comedy scene with Sashi Kapoor. 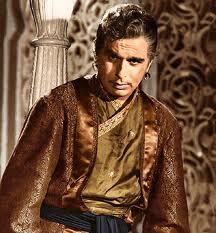 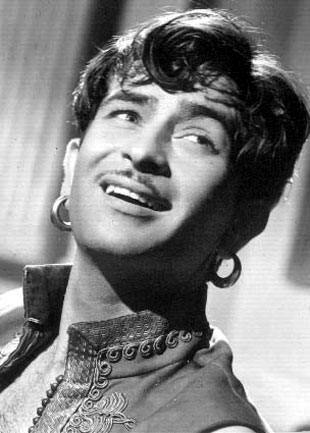 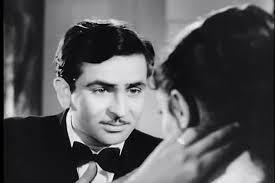 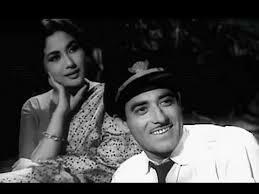 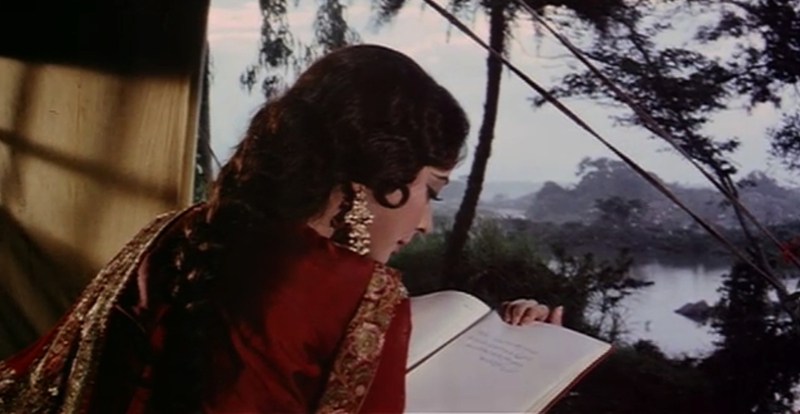 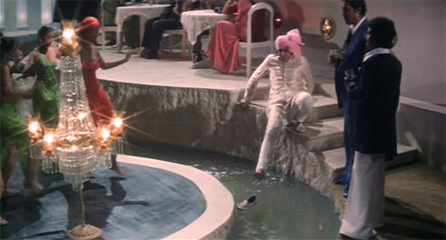 Then in Yaarana, his tongue twister, his peculiar way of pronouncing Hindi and many more scenes are really enjoyable. 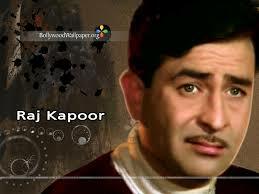 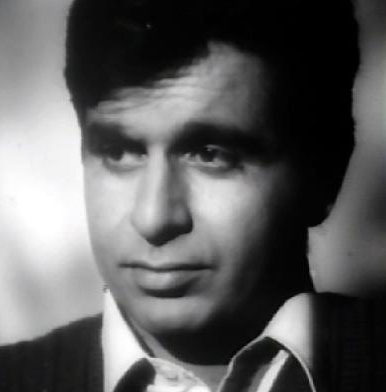 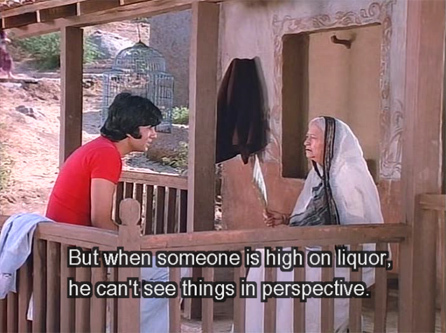 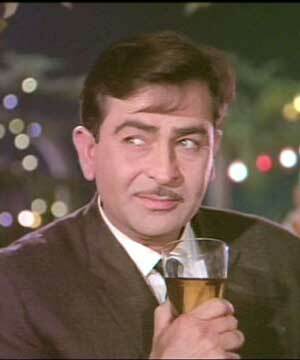 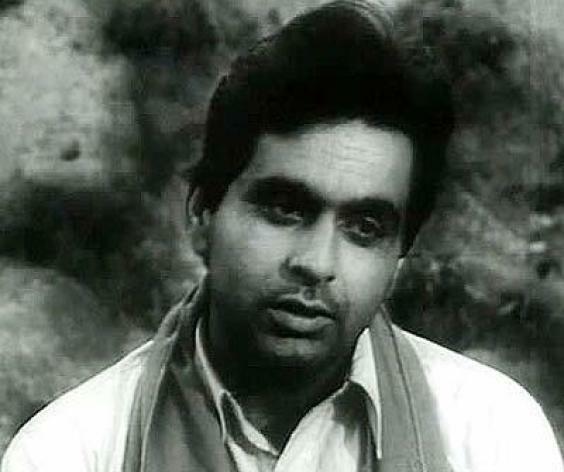 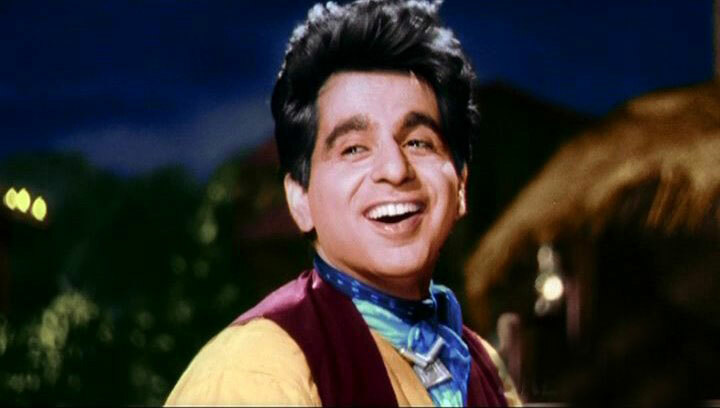 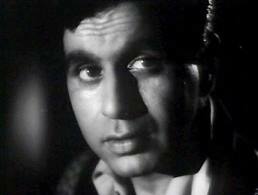 So spontaneously he does all those comic scenes, in Namal Halal movie in the song sequence Jawane Janeman he was standing behind Sashi Kapoor ji carrying two glasses of wine and then after horrendous dance and expressions he poured them down in the floor………….its worthy to watch his comedy there and after that he used a special hymn to pull up the curtain and drop it down once more somebody like him only can utter such things adding so much humor. 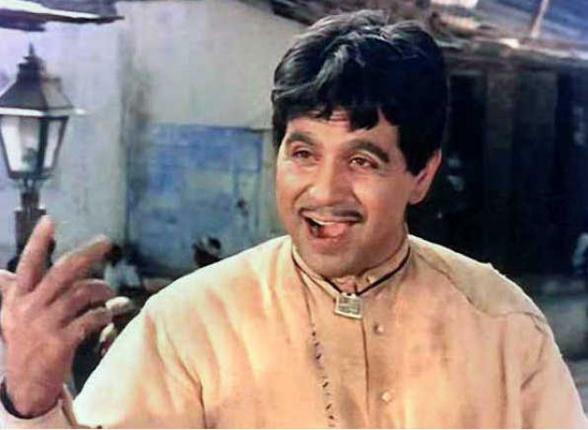 In the recent times also we have seen his comedy in Kabhi Alvida Naa Kehna in the song sequence of Rock n roll soniye…………….in the midway he just pulled the mic down to say ” and we have not done yet” …………….people with good sense of humor can appreciate his standard of comedy. 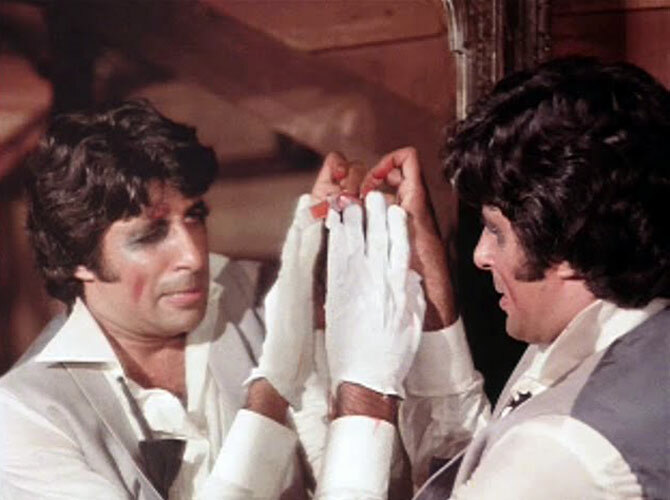 The timing and expression are superb and above average……………in other movies like Shaan, Silsila, Besharam there are few scenes of comedy which he enacted brilliantly leaving a signature of his standard. 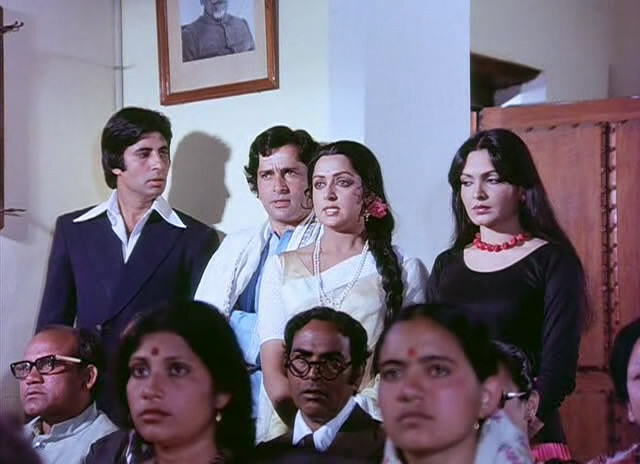 Last but not the least is the song of Desh Premi where Amitabhji was wooing Hema Malini in a song sequence[ Khatoon ki Khidmat mein] playing a typical Hyderabadi guy is one of his best comic performances so far. 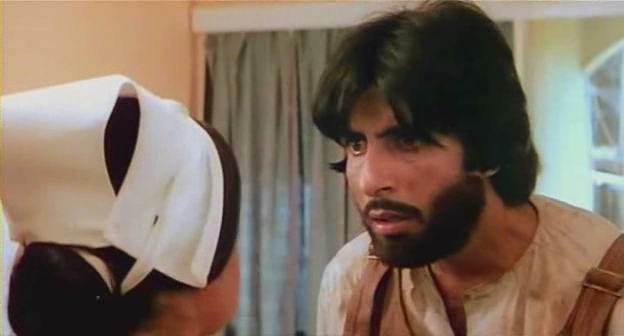 These days he is doing only serious kind of role we expect to see more comic roles from this great actor.